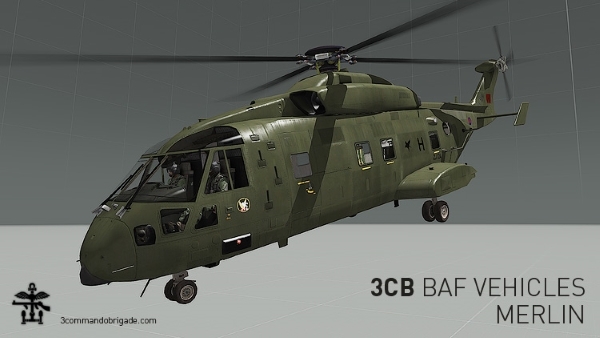 3 Commando Brigade | View topic - 3CB BAF Vehicles - Merlin released! Our talented texture artist Arka [3CB] has been hard at work once again, this time re-texturing the ArmA 3 AAF Mohawk as accurately as possible in the colours and markings of a real-life weathered RAF Merlin HC3 currently serving with British Armed Forces. Read more about it on the release thread over at the BI forums. Hahaha so is this is why you were so silent on the issue last night!! i love this beast. Thanks Arka!!! I like surprises, what can I say! As soon as PlayWithSix update we'll get it on the public server.